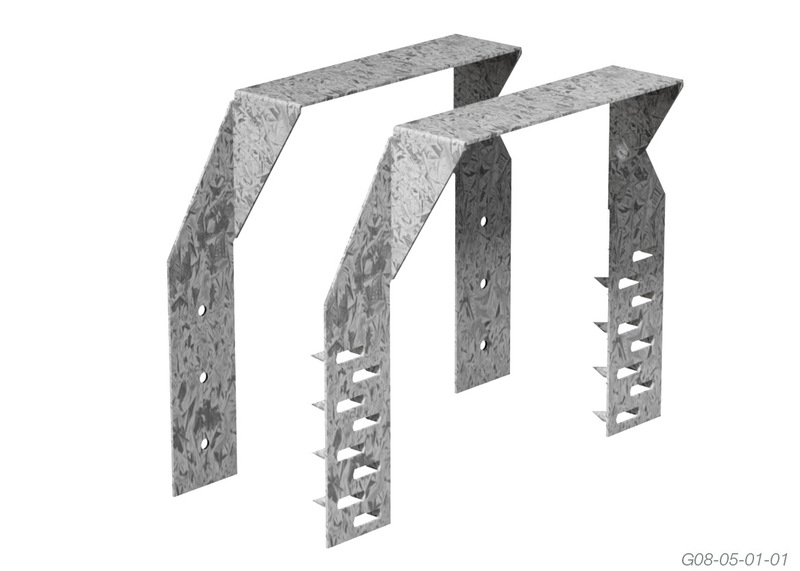 Easy to install and provide an effective method of fixing large timber purlins to timber roof trusses or rafters. 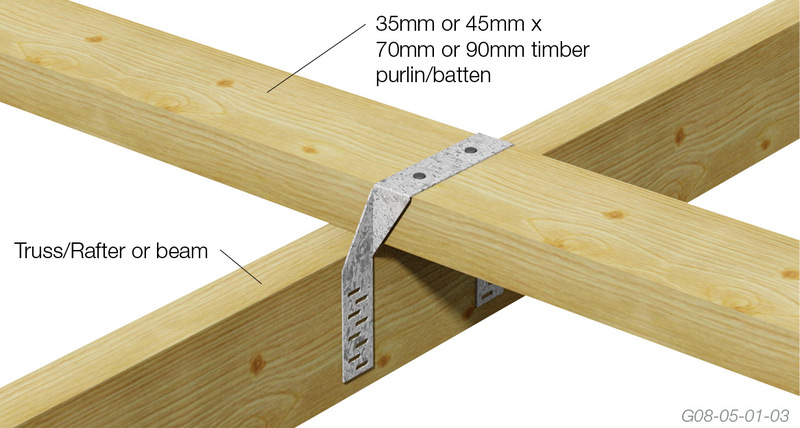 Fix purlin batten to the truss or rafter with 2/75mm x 3.05Ø nails. Use 3/30mm x 2.8Ø Multinail nails to each leg. NOTE: The capacities are derived from AS1720-2010 and are for uplift in houses where failure is unlikely to affect an area greater than 25m2. 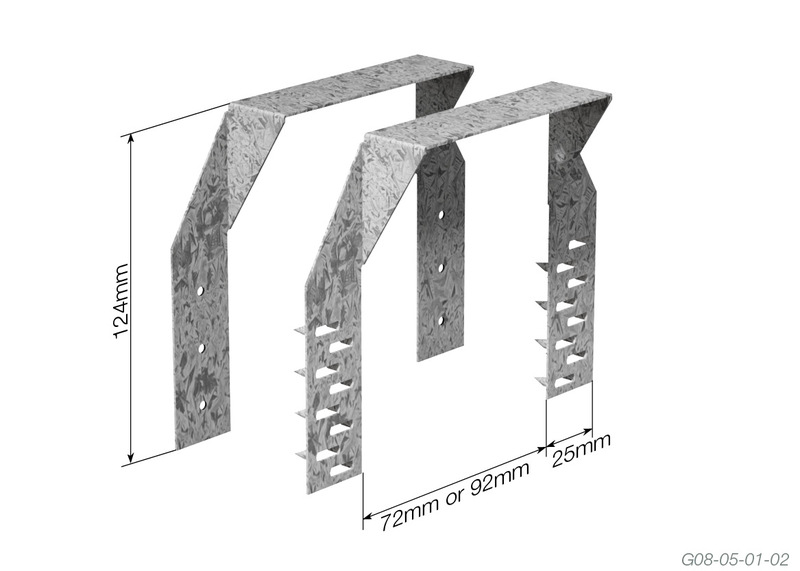 For primary elements in structures other than houses or elements in a house for which failure would be greater than 25m2 these capacities must be multiplied by 0.94. For primary joints in essential services or post disaster buildings multiply by 0.88. For 2/Purlin Tie the table values can be doubled.